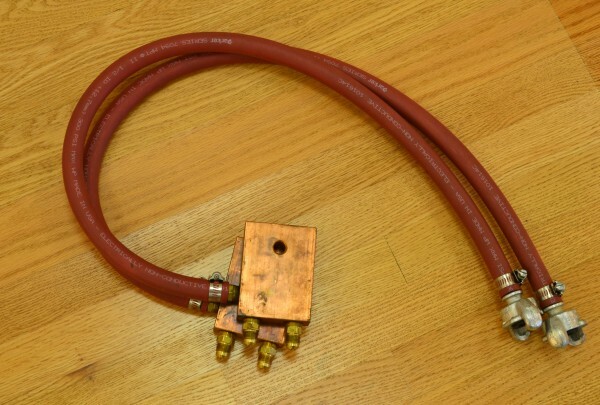 These connectors are used to connect legacy machines to the coaxial cables. 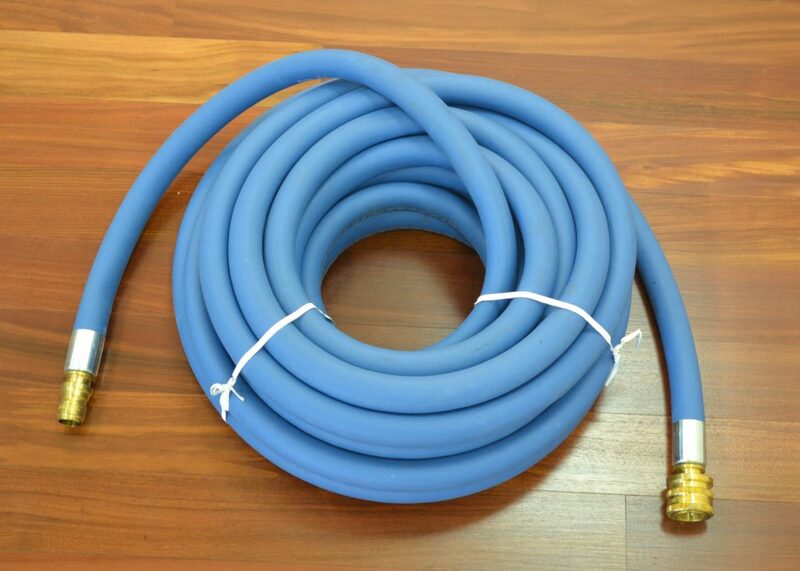 They allow for some motion and some movement making the attachment of the coaxial cable easier to do in the field. 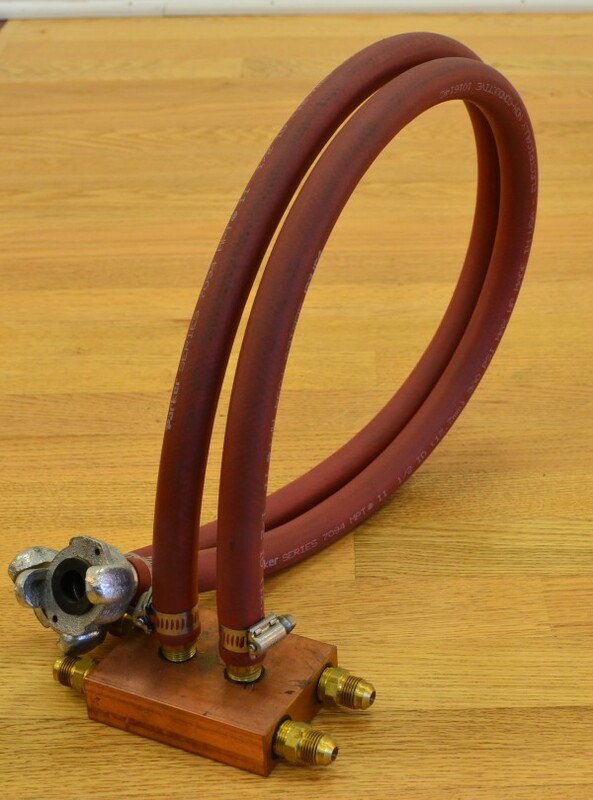 Single Power To Water Block Sets are made to adapt a buss bar output, (like the output on a 200kW) to any of the single water cooled coils Thermo sells. End fittings are 3/8 Flare and Chicago type unisex couplers allowing for the block to be used as either a supply or return. Chicago to quick disconnect adapters are required and sold separately. 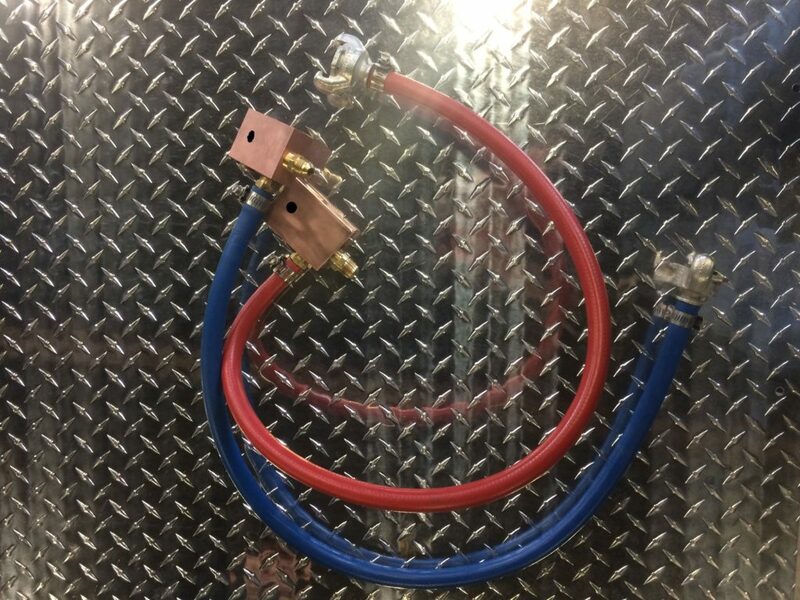 Dual Power To Water Block Sets are made to adapt a buss bar output, (like the output on a 200kW) to any of the dual water cooled coils Thermo sells. End fittings are 3/8 Flare and Chicago type unisex couplers allowing for the block to be used as either a supply or return. Chicago to quick disconnect adapters are required and sold separately. Single Water Splitter Blocks are made to split the water supply or return allowing more single water cooled coils to be connected electrically in series for more cooling thus, a higher power level to be achieved while running the induction power supply. 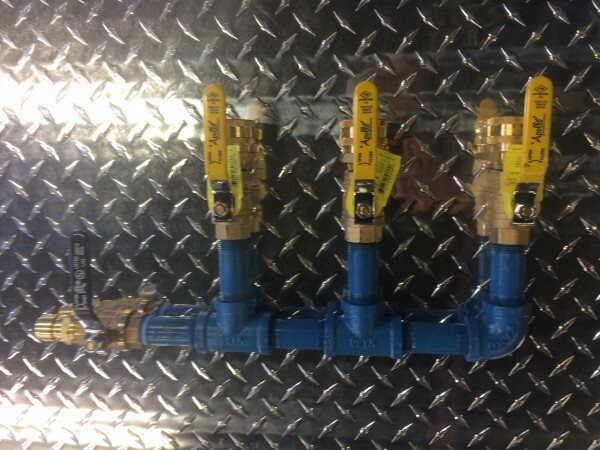 End fittings are 3/8 Flare and Chicago type unisex couplers so the block can be used as either a supply or return. Chicago to quick disconnect adapters are required and sold separately. 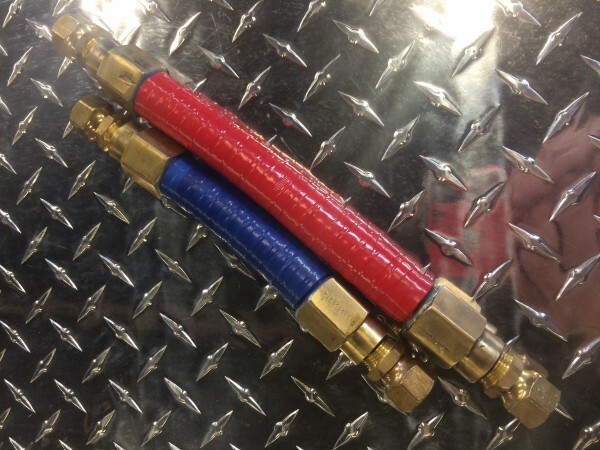 Dual Water Splitter Blocks are made to split the water supply or return allowing more dual water cooled coils to be connected electrically in series for more cooling thus, a higher power level to be achieved while running the induction power supply. End fittings are 3/8 Flare and Chicago type unisex couplers so the block can be used as either a supply or return. Chicago to quick disconnect adapters are required and sold separately. 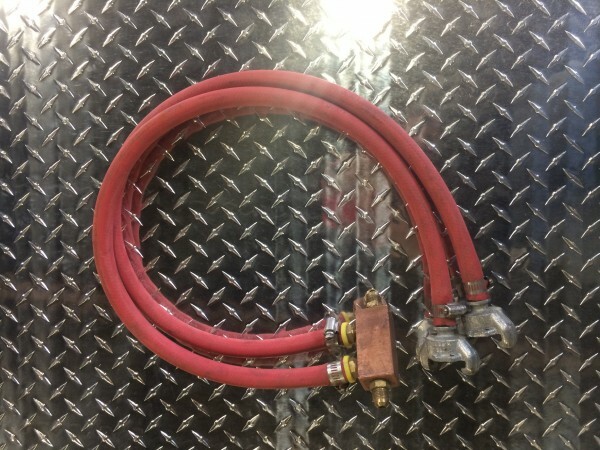 A simple manifold designed to give the induction technician the ability to supply up to three water cooled devices (machines or coils) allowing a quick set up from the customers single water supply.